Much of director Jeff Nichols’ work is about fatherhood. “Shotgun Stories,” “Take Shelter” and “Mud,” in one form or another, show what it means to be responsible for another human being. 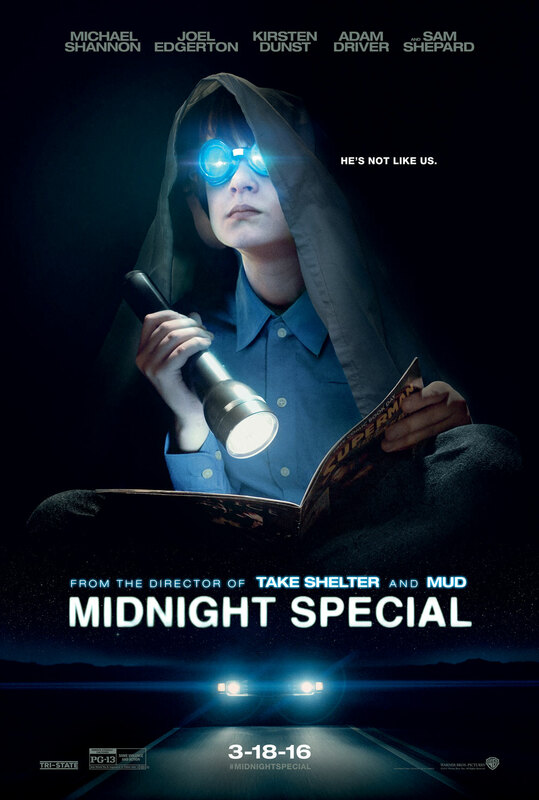 It should come as no surprise, then, that Nichols explores that theme once again in his biggest film to date, “Midnight Special,” a thrilling throwback that’s both meditative and moving. Roy (Michael Shannon) needs to get his son Alton (Jaeden Lieberher) to a specific location at a certain time. He’s not sure why, but he knows he has to for the sake of Alton. Roy’s son has special powers that he nor anyone else can explain, and while a religious cult – led by Sam Shepard – believes that Alton is their savior, to Roy, he’s just his son. With the help of his old friend, Lucas (Joel Edgerton), Roy will do whatever he must to protect Alton, even if that means running from the government or getting into shootouts with crazy cult members. “Midnight Special” isn’t exactly “E.T.,” although a few shots and ideas certainly pay tribute to Steven Spielberg’s classic. Like that film, Nichols tells a personal story, with its characters and themes driving the story, not set pieces. Alton might have super powers, but this is far from a superhero movie; it’s about fatherhood, finding one’s place in the world and faith. 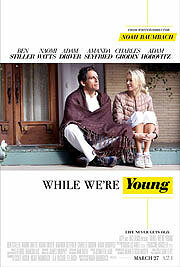 Alton has his father and mother, Sarah (Kirsten Dunst), but he’s never lived a normal life. During one quietly heartbreaking exchange, Roy and Sarah hold hands, watching their son play in front of them. It’s a sweet moment, but there’s an inherent sadness to the scene as Lucas cleans his gun in the background, watching the family trying to grasp onto fleeting moments of normalcy. Resurrect a beloved name and attempt to relaunch a franchise? No sweat. Extreme pressure was riding on co-writer/director J.J. Abrams’s “Star Wars: The Force Awakens.” Expectations are more than high for the film, and while this sequel doesn’t quite recapture the glory of the old days, if often comes very close. “The Force Awakens” is both a retread and a callback to “A New Hope.” Rey (Daisey Ridley) follows in the footsteps of Luke Skywalker (Mark Hamill): she’s an orphaned scavenger on a desert planet, Jakku, and she’s torn between her home and exploring the galaxy. Her life changes when she meets the adorable BB-8, a droid hiding a secret for the best damn Resistance pilot in the sky, Poe Dameron (Oscar Isaac). A conflicted Stormtrooper named Finn (John Boyega) crosses paths with both Poe and Rey, but most of “The Force Awakens” is about those two, as well as the pair of recognizable faces they team up with along the way: Han Solo (Harrison Ford) and Chewbacca (Peter Mayhew). Even before Han and Chewie appear – and what a wonderful reveal it is – “The Force Awakens” is undeniably a “Star Wars” movie. The film recaptures the spirit of the original trilogy, as it should. The tangible environments, practical creatures and stakes are “Star Wars” through and through, but more than that, it’s the sense of joy, pain and adventure that Abrams and his co-writers, Lawrence Kasdan and Michael Arndt, bring to this sequel that makes it “Star Wars.” This series has always been about friendship and family, and “The Force Awakens” doesn’t forget that, even if some of the relationships aren’t very well defined. Shawn Levy wants a do-over. The man who carved out a very successful career as a director that, as the Onion A/V Club once joked, you didn’t know you hated, now wants people to take him seriously. Levy actually turned some heads with the underrated “Real Steel” (his best movie by a country mile), but then followed that with last year’s “The Internship” (you had already forgotten about that one, didn’t you? ), and in two months, he unleashes a third “Night at the Museum” film upon a public that thought two “Night at the Museum” films was more than enough, thank you. He’s typecast, and he doesn’t like it one bit. In other words, he now knows how it feels to be nearly every actor or actress who’s ever appeared in one of his films. Levy’s latest attempt to rebrand himself is “This Is Where I Leave You,” a dysfunctional family dramedy that is filled with rapid-fire jokes (funny ones, too) and boasts a pitch-perfect cast. The biggest problem with the movie, sadly, is Levy himself. He seems out of his depth, and derails the momentum at odd times, lingering too long on a shot here and overdoing the camera work there. A director more experienced with the genre would have fared only marginally better, yes, but Levy had a chance to prove himself here, and he comes up short. 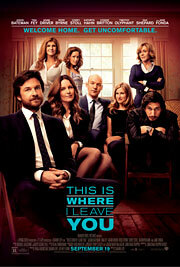 Judd Altman (Jason Bateman) is not having a good year. Not long after walking in on his wife cheating on him with his boss (Dax Shepard), his sister Wendy (Tina Fey) calls to inform him that their father has died. The family isn’t close – their mother Hilary (Jane Fonda) aired the kids’ dirty laundry in the form of a best-selling novel – so the news that their father’s dying wish was for the family to sit Shiva, keeping all four siblings and their significant others in the same house for seven days, is not warmly received. In those seven days, hearts mend, hearts are broken, sibling rivalries both real and imagined rear their ugly heads, and Hilary talks way too openly about, well, everything.